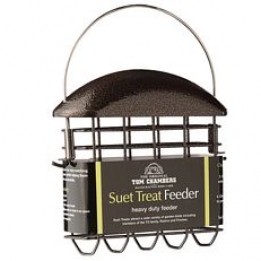 Suet Treat Feeder - Copper - Simply Bird Garden Birds Supplies. Sturdy feeder to hold li-ion battery charger suet treats. Made with heavy duty steel.